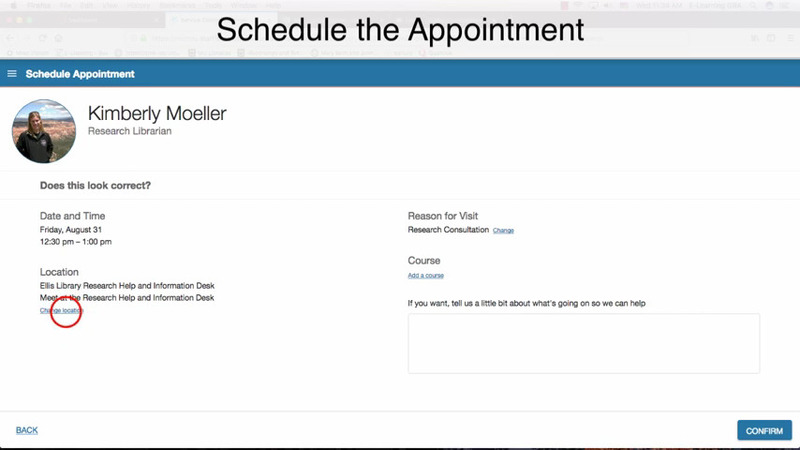 This is a written tutorial on how to use MU Connect to schedule an appointment with a librarian. Log on to canvas (courses.missouri.edu) with your pawprint and password. On the left side of the screen in the vertical bar, choose the star icon “MU Connect”. This should take you to a new page. At the top of the page click the three horizontal lines next to the words “My Success Network”. From the menu, choose "Courses". In the new page click the drop down area in the box on the left side of the screen and choose the current semester. 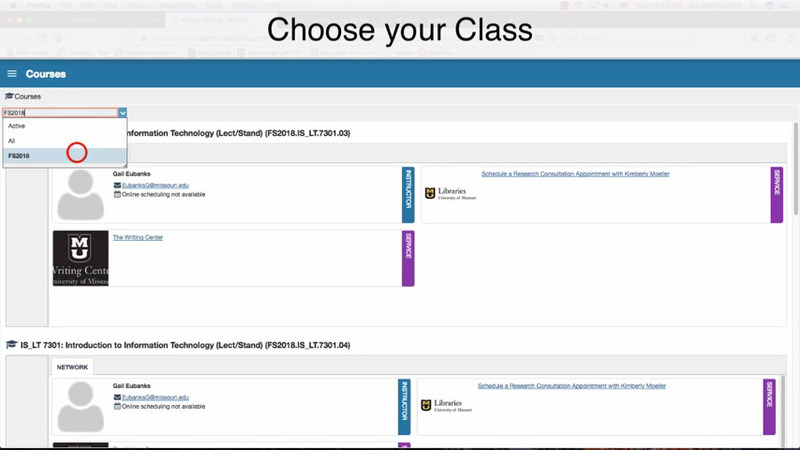 Your classes will appear with a few choices. Go to the class you are looking for and choose the service box that says “Schedule a Research Consultation Appointment with” followed by the name of a librarian. This should take you to a new page. Click the drop down menu next to the librarian’s name and choose schedule. 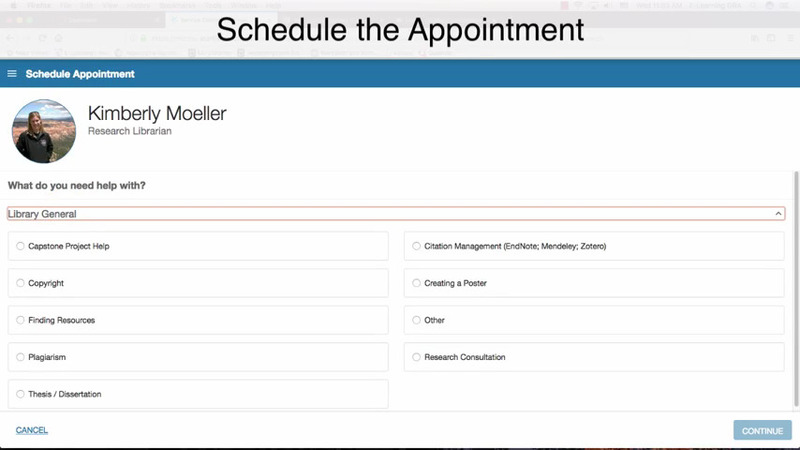 The next page allows you to choose the reason for making an appointment. Click "Library General" to bring up the options. If you cannot find the option you are looking for feel free to choose “Other”. From here you will be taken to a calendar. Use the calendar to choose a date and time that works for you. 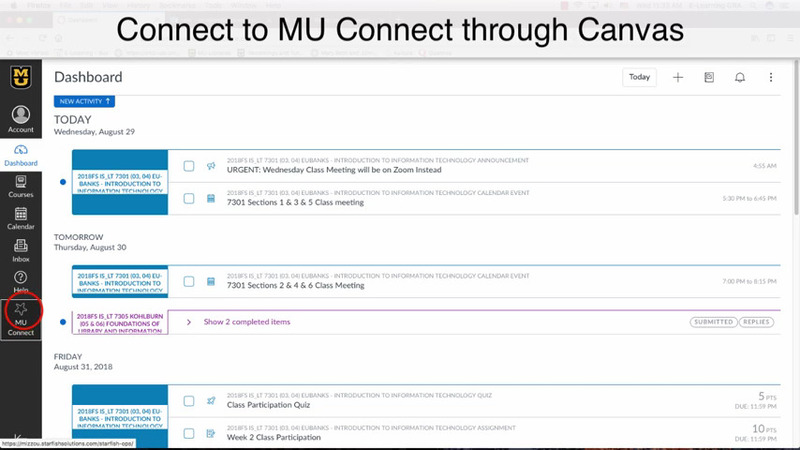 The next screen allows you to make changes to the meeting’s location as well as allowing you to add any additional information. 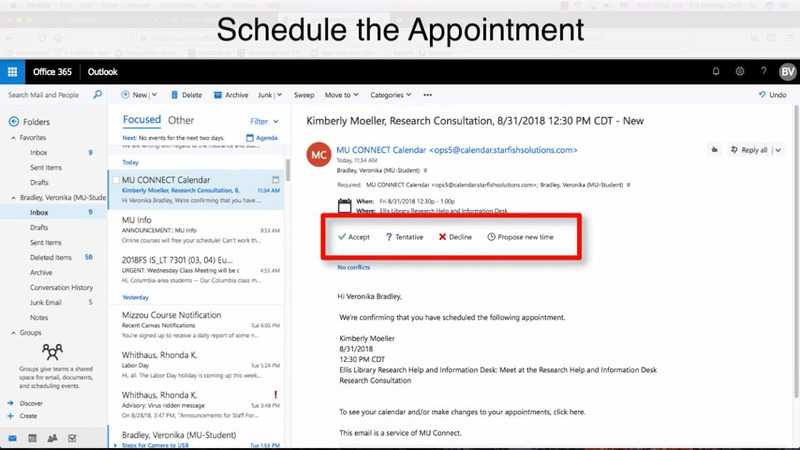 On the left side you can change the location to either of the physical locations at Ellis Library, choose to have an appointment by phone, or even an appointment through zoom. 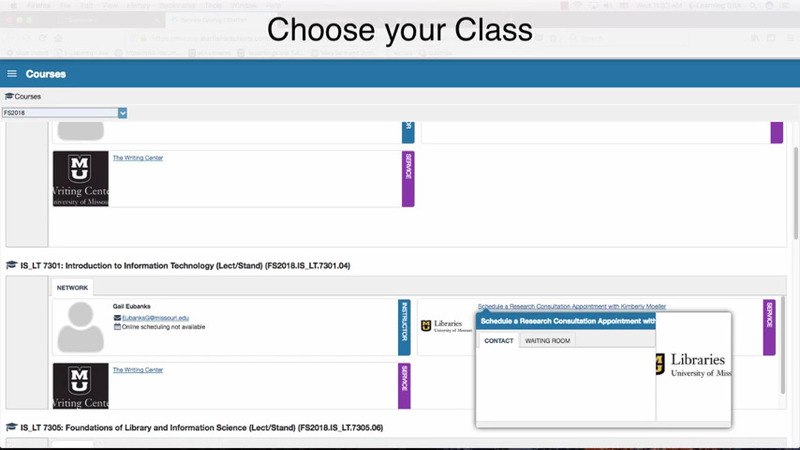 On the right side you can add the specific course the project is for or type in your own explanation of how the librarian can assist you. When you finish making the appointment you will be sent a confirmation through email. Do not choose any of the options to accept or decline the appointment through the confirmation email. If you want to cancel an appointment, go back to MU connect, click the three horizontal lines next to “My Success Network” and choose “Upcoming”. 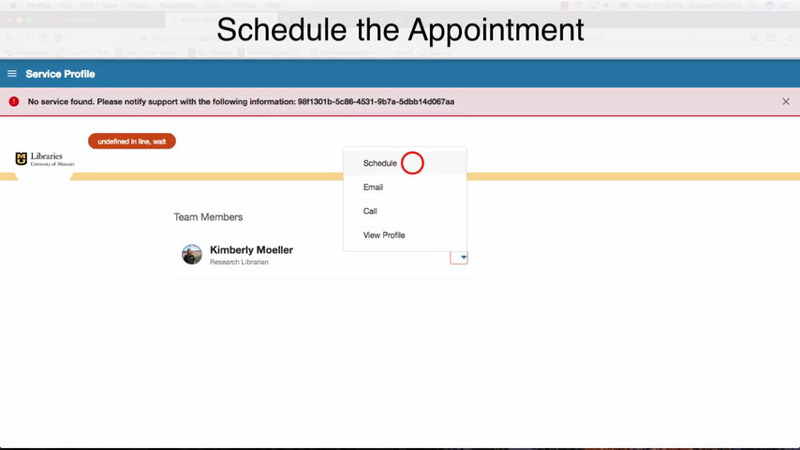 This should display the details of your scheduled appointment. 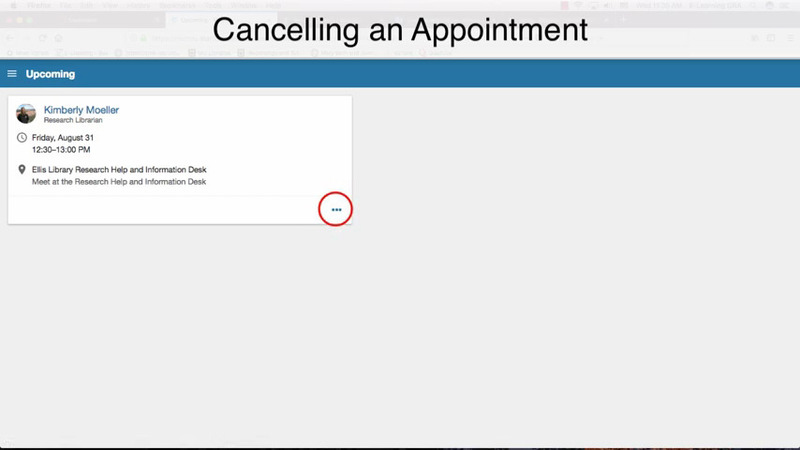 If you click the three dots in the lower right hand corner, you have the option to cancel the appointment. You will be sent an email that says your appointment has been canceled. If you need to cancel or reschedule your appointment, please do so ASAP so the time will be available to others.